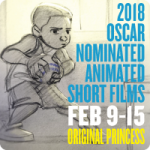 The Oscar-Nominated ANIMATED Shorts. 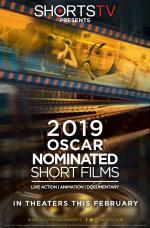 Eighty-one films had originally qualified in the Animated Short Film category for the 91st Academy Awards®. Members of the Short Films and Feature Animation Branch vote to determine the shortlist and the nominees. For the eighth year in a row we are proud to offer the chance to see some of the Oscar nominated films that many people never see. 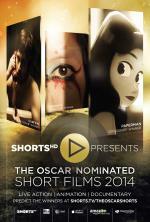 The short film categories are full of amazing films - the unsung nominees that are worth their weight in Oscar gold. 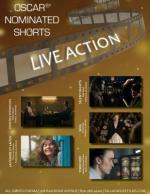 Featurettes from across Europe get their moment on the big screen in this roundup of Oscar-nominated live action shorts. This year’s live-action batch includes a number of intriguing foreign entries — and not an American offering in the bunch — all of which are loosely unified around such timely concepts as connection (emotional and physical) and the current political climate. For the seventh year in a row we are proud to offer the chance to see some of the Oscar nominated films that many people never see. 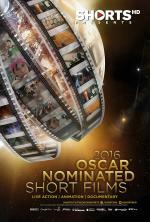 The short film categories are full of amazing films - the unsung nominees that are worth their weight in Oscar gold. For the eighth year in a row we are proud to offer the chance to see some of the Oscar nominated films that many people never see. 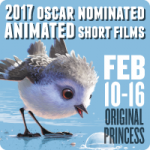 A fully family friendly collection of animated short films! 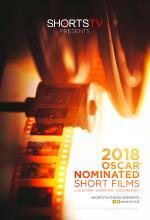 For the fifth year in a row we are proud to offer the chance to see some of the Oscar nominated films that many people never see. The short film categories are full of amazing films.